The Ohko Stone, or otherwise known as Dragon Stone, was originally found in Japan close to lakes, ponds, or at the seashore. The water erosion from the tides create these holes/ripples within the Ohko stone and then were hardened from the sun. It’s not unheard of finding this type of stone in other places around the world. 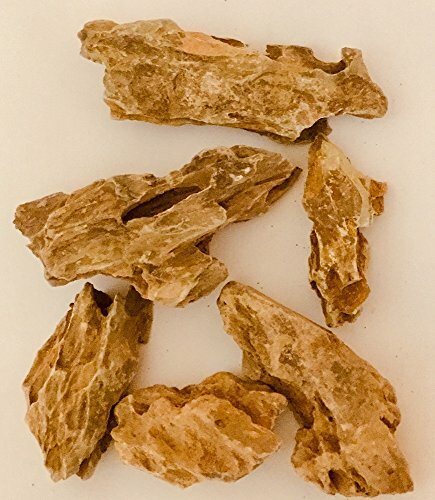 Some Ohko stones have been found and sold from the United States, Canada, and UK. Typically, these stones are called differently, like “Utah Dragonstone” but are still in the same category as Ohko stone. The Ohko stone (Dragon Stone) is a rock that resembles dragon scales. 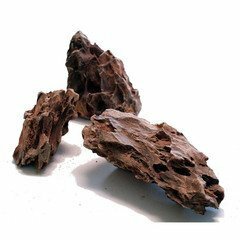 It typically has a greenish brown coloring and is very light weight compared to other hardscape stones. 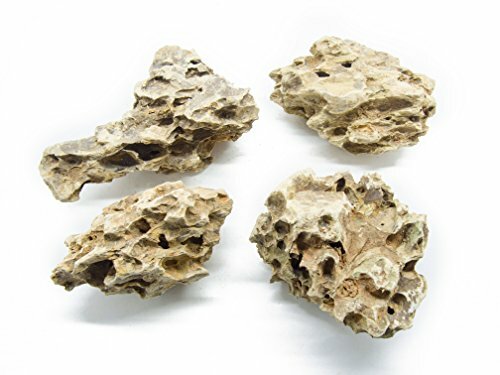 Aquascapers say the Ohko stone is basically composed of hardened clay, which has been known to be very fragile. Even with this downside, the cratered surface of the Ohko stone results in many mini-caves and nooks for anchoring moss and plants alike. A known fact with Ohko stones is that it is infamous for having debris and soft clay inside the craters. Typically, sellers will not clean out the dirt or soil, so this is up to you if you choose to. 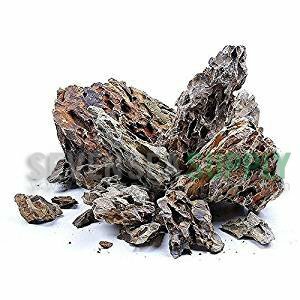 It’s not a huge issue to just place the stones into your aquarium, but prep work is good to achieve the deepest crevices. The first is with a pressure washer (not too strong). I used a shower sprayer attachment in my bathroom. Try to get the water pressure into each hole and let the water do the work. The second is a long wooden bamboo skewer clearing out each hole by hand by swirling it. It’s best to soak the Ohko stone for an hour or two before actually cleaning them out to make things easier. This method has been known to create holes that go all the way through the stone. Ohko stones are presumed to be igneous rocks that have been extensively eroded from water. It’s been said that Ohko stones are just like hardened clay that has the additional unique texture and ripples to its shape. 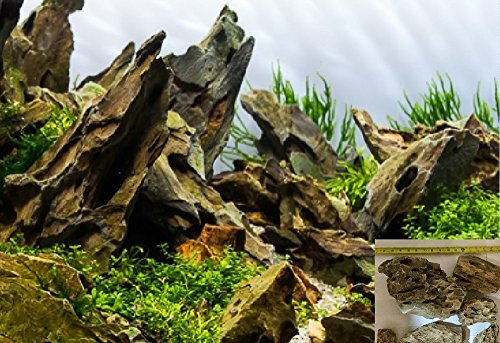 These stones are pH neutral and do not have an effect on the water in your aquarium. 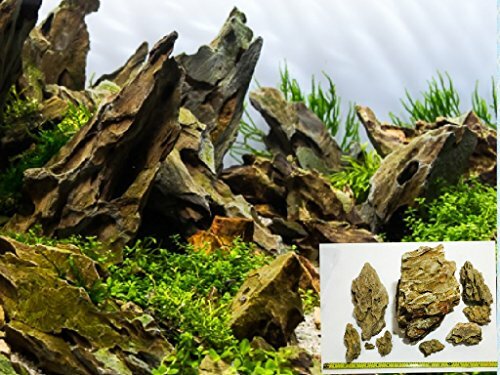 Just remember that these stones break easily, so erosion may be an issue within an aquarium, resulting in a shorter lifespan compared to other hardscape options. It is unknown where Ohko stones can be found naturally. 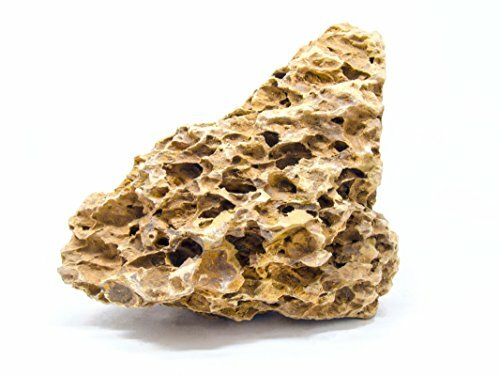 Aquascapers suggest that they can be found around lakes or seashore line’s where water erosion can create these types of rocks. There are a few vendors that sell Ohko Stones but you won’t find these rocks in large pet stores or local quarries. You can also check out down below where they usually have Ohko stones for sale.